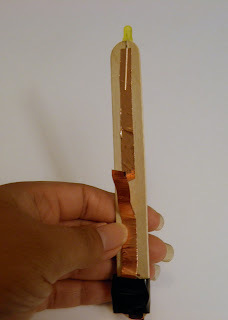 The first step is to put a long strip of copper tape down the length of the popsicle stick with enough extra to wrap about 1'' to the other side like so. Place your button battery on to the piece of copper tape you wrapped over the end of the stick with the positive side up. 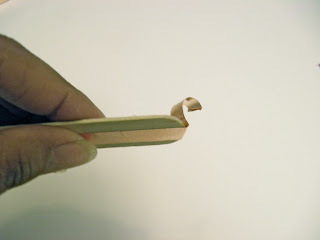 Take a shorter piece of copper tape and fold the end over about .75'' each side, then glue on the copper tape. Glue is not conductive so you have to double the tape up to allow the electricity to flow. 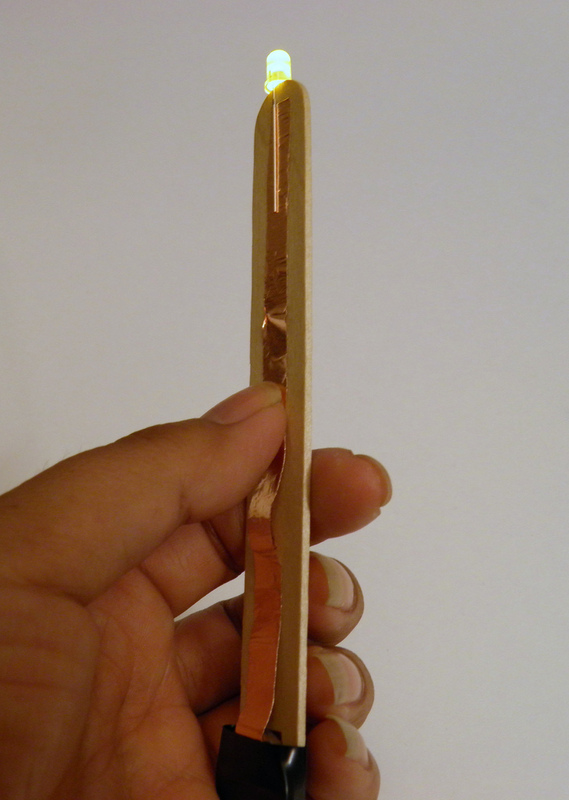 The right side will be the battery contact and the left side will be the switch contact. 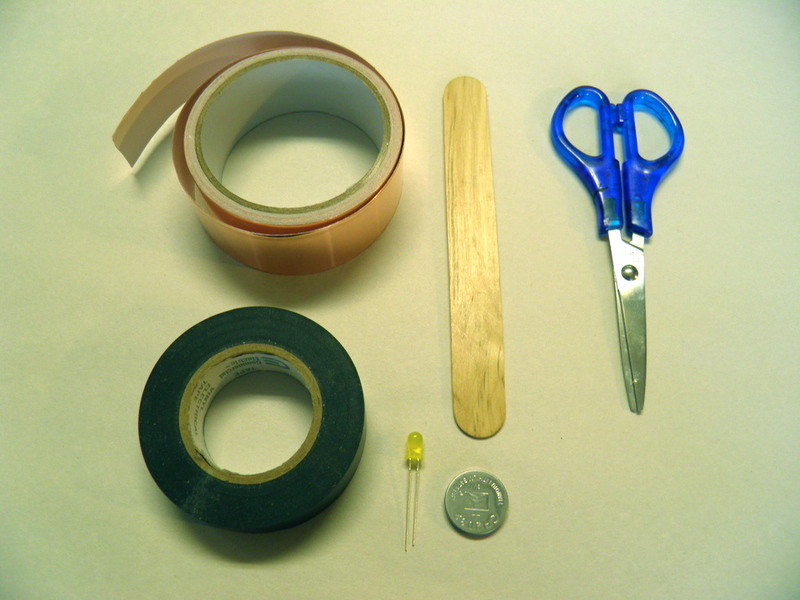 Tape the battery and battery contact in place with electrical tape. Add a final piece of doubled up copper that runs from under the switch contact to the top of the popsicle stick. 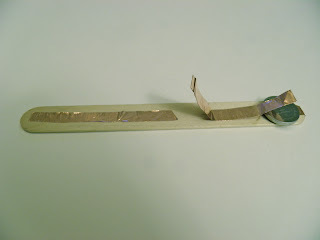 Alternatively, you can use a folded piece of aluminum foil for this part and tape it down in the middle. 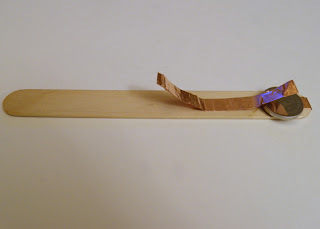 This may be easier for younger kid as folding the tape can be challenging. Heres the flashlight with the switch open and the led in place. 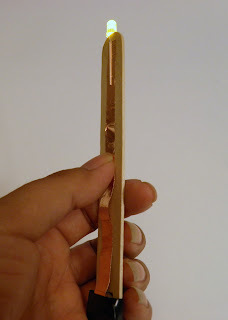 Note that the long lead of the led, the positive lead, goes on the switch side of the flashlight. Make sure to test the test the flashlight before taping the led down with electrical tape. Here the switch is closed and the light on. 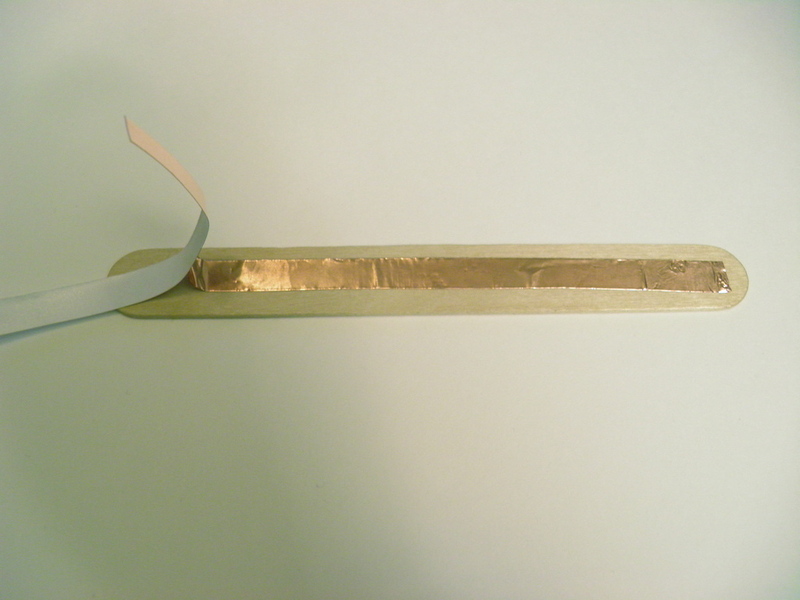 Note that for this example we ended up using a yellow led we had laying around not the recommended bright white led. 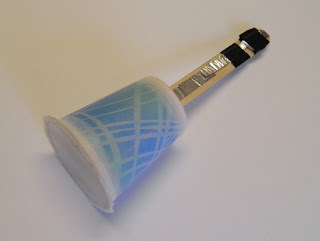 Heres the final flashlight with the battery and led taped in place. This is a slightly modified version using an ultra bright led and a cup with wax paper as a diffuser. Adding the cup and defuser spreads out the light and makes shining it it in someone eyes less hazardous. This version also had the folded and taped aluminum switch, and it also uses aluminum for the conductors. Thank you for posting this. We made the flat flashlight in my craft class here in Taiwan yesterday, and the kids loved it! 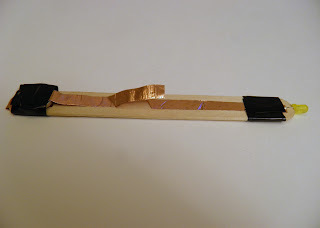 I did modify the switch by using a short piece of narrow craft stick covered in copper tape instead of the folded over tape. It worked quite well. Thanks again!